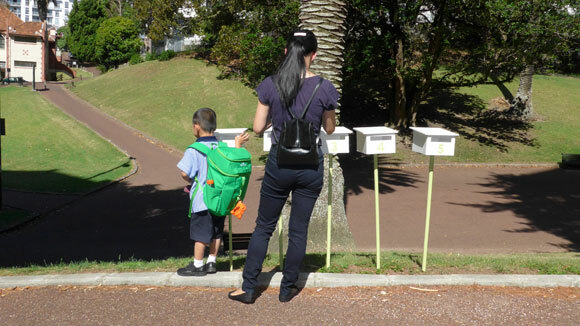 This was a site specific response in Myers Park, Auckland which explored the history of the park and in particular the time before the park was established. During the course of my research I discovered that numerous people who lived where the park was to be created were asked to leave their houses with only 14 days notice. In 1914 five women who lived in seperate houses on Lancelot Terrace received the following notice. 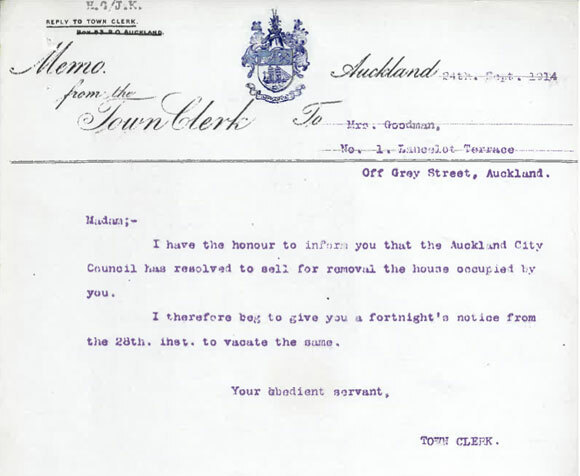 Madam, I have the honour to inform you that the Auckland City Council has resolved to sell for removal the house occupied by you. I therefore beg to give you a fortnight's notice from the 28th to vacate the same. I wanted to get these letters out of the archives and into the hands of the public but since Lancelot Terrace no longer exists (it's now concrete stairs) I created 5 mailboxes and placed them at the base of the stairs, near where one of the houses would have been. 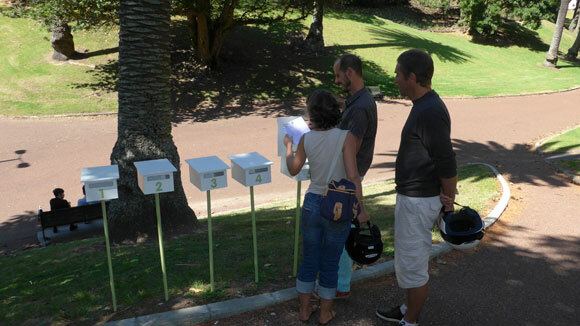 The letters were placed in the mailboxes for the public to view. The work reflects a practice which continues today as many lower income people who live in government housing are still being forced to vacate their homes. wood, house paint, paper. 2014.